On October 30th, the “2018 Accounting Information Quality Inspection Announcement” issued by the China Ministry of Finance (hereinafter referred to as “Announcement”) showed that the Internet industry presented light asset operations in the 2017 accounting law enforcement inspection. The equity and debt investment are intertwined, the management structure is separated from the legal entity, and the business operation has no territorial restrictions. Some enterprises have more prominent problems in transferring profits across borders and evading paying taxes. Among them, Xiaomi, Suning Tesco, 2345, LeTV, Sanqi Mutual Entertainment and many other companies were named. The company has some problems in accounting for the amortization of the expenses, and the external gift is not treated as the taxation of the sales behavior, the management of the reimbursement invoice is not standardized, and the fee management system is imperfect. In accordance with the relevant provisions of the VAT law, although the company does not receive income from the gift, it still needs to levy value-added tax and corporate income tax according to the price of similar goods. This provision is mainly to avoid loopholes in tax laws and to prevent companies from paying taxes in the name of not giving money. The external gift is treated as a sales act, which not only blocks the loophole, but also completes the VAT chain. However, there are still some enterprises that donate goods to the outside world without paying taxes. The company has not transferred the deferred income of RMB 5.3289 million at the same time, and did not fully disclose the impact of the income generated by the sale and leaseback on the profit of the current year, and repeatedly deducted the research and development expenses plus the deduction of RMB 3,342,800. According to the provisions of the corporate income tax law, the research and development expenses can be deducted according to 50% of the actual amount. This year, in order to promote scientific and technological research and development, the policy was adjusted to be deducted at 75% of the actual amount, and 80% of the actual amount of overseas R&D was allowed to be deducted within two-thirds of domestic R&D. This is a tax incentive policy that is conducive to research and development, but repeated reporting of research and development costs will increase deductions, reduce taxation, and suspected of breaking the law. The company’s previous annual expenses caused a total of 3.97 million yuan in 2016; the deferred income tax rate was incorrectly used, affecting the deferred income tax assets of 2.67 million yuan. According to the provisions of China’s corporate income tax laws, multiple expenditures will be less taxed and illegal. The company and its subsidiaries have not written off the provision for impairment of assets; the disclosure of related party transactions in the annual report of the subsidiary is not comprehensive; in 2016, the expenses for the previous year were included. In addition, the company and its subsidiaries also have problems such as the use of borrowings for non-contracted borrowings, the failure to renew the value-added VAT invoices, and the fact that the paid-in capital of subsidiaries is not in place. According to the relevant laws and regulations of China’s value-added tax, if the VAT invoice is not flushed back in time, it will involve the risk of falsely opening the value-added invoice. Usually, the amount of the invoiced must match the actual transaction amount. The company has problems such as improper accounting, less tax payment, and irregular internal control management. Among them, the income is 351,400 yuan, and the enterprise income tax is 126,900 yuan. 2. 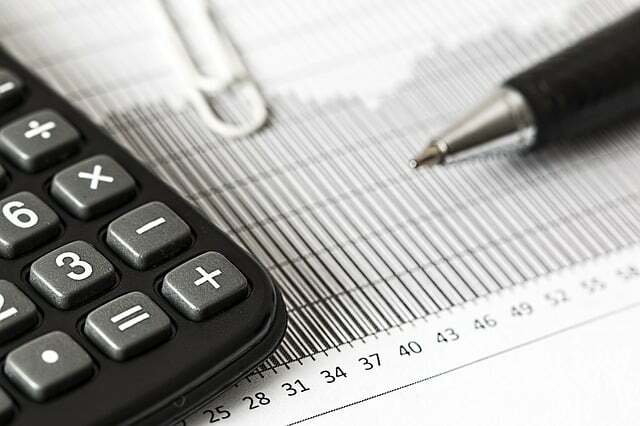 According to the newly issued “Accounting Standards for Business Enterprises – Application Guide”, the deferred income account accounts for the amount of government subsidies recognized in the “Government Subsidy” criteria that should be included in the current profit and loss in the future period. The Ministry of Finance pointed out that “the transfer of assets without the simultaneous transfer of deferred income of RMB 5,318,900” means that Suning’s accounting firm did not transfer the same deferred income when it recognized the income, and it has nothing to do with taxation. In fact, Suning has already paid the full amount of the income. The tax was paid in accordance with the law and in a timely manner. 3. Regarding the “repeated declaration of R&D expenses plus deduction of RMB 3.428 million”, the existence of the duplicate declaration problem is a mistake in accounting work, which caused Suning to miss the income tax of 400,000 yuan calculated based on the amount of RMB 3,422,800. .
4. Suning attaches great importance to the problems mentioned in the financial department’s accounting information quality inspection announcement. It has organized internal audits and has taken corrective measures for the quality of the accounting firm’s practice. It will be taken as a warning. Paying taxes according to law is the basic social responsibility of enterprises. Since the beginning of business, in the past 28 years, paying taxes according to law and paying taxes in good faith have always been the basic principles of Suning. Suning Tesco’s 2017 annual report shows that the total tax payment for the year is about 4 billion yuan. In the future, Suning will continue to abide by this basic principle and take the initiative to assume corporate social responsibility while strictly handling the daily work of relevant departments such as accounting. But subjective tax evasion does not exist!